Lisbon Places you can't miss! There are a few Lisbon Places you just can't miss while you're here. These are urban places where you'll find monuments, museums, churches, statues and all sort of amazing things. But these places are worth a visit just because of the places themselves. Their history, location, or unique construction make them main tourist attractions. You can start with the Liberdade Avenue (Avenida da Liberdade) that goes from the Marquis of Pombal Square (Rotunda do Marquês de Pombal) until the Restauradores Square (Praça dos Restauradores). Next, you'll find the D. Pedro IV Square, also known as Rossio. 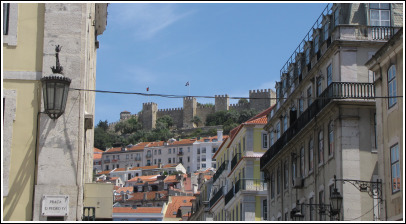 Keep walking through Lisbon Downtown and go to Figueira Square (Praça da Figueira) where you can see the Saint George Castle (Castelo de São Jorge). Choose one of the streets that lead to the Tagus River (the most popular is the Augusta Street) and find the Comércio Square (Praça do Comércio). Continue to the Cais do Sodré and pass the Duque da Terceira Square (Praça Duque da Terceira). Catch the tram (Eléctrico) to Belém and enjoy the Belém attractions. In Belém, you can catch the ferry boat to the other side of the river and enjoy one of the fabulous Lisbon beaches.